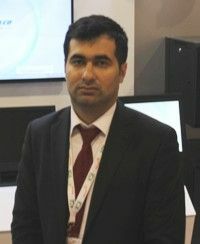 - Sumgait Technology Park (STP) was launched on 22 December 2009 by Ilham Aliyev, President of the Republic of Azerbaijan. The plant, which has no analogues in the country, is one of the technology enterprises located in the region. The pipes produced at the plant are certified as complying with Azerbaijani standards (AZS) by the State Committee for Standardization, Metrology and Patents of Azerbaijan. At Bakutel 2014 we are demonstrating the products made by STP for the integration of engineering services. Security equipment, including security cameras, fire-alarm systems, access-control systems, monitors, and hand-held and mobile radio stations, are presented here. The Technology Park is also the distributor of several other products, which are also on display on our stand; these include Kenwood radio stations and Zeta fire-extinguishing systems. Every year the organization and scale of Bakutel increases. The number of visitors is continuously growing and, against this backdrop of popularity, our stand also enjoys a high number of visitors.